We deliver the finest care at the most reasonable cost to our patients. Therefore, payment is due at the time of service. If you have questions regarding your account, please contact us or call our office at 925-833-8516. At the consultation appointment, we will provide an estimate of the cost of your procedure by making a phone call to your insurance company. Please remember, this is only an estimate and the actual out-of-pocket cost can vary. This is because your insurance company makes a decision on what they will pay only after receiving the claim form from us. We send the claim to them after performing the surgery. An Estimate of Benefits (EOB) can be submitted to your insurance company to get a written estimate from your insurance company but this may take 4-6 weeks for a response and therefore delay the scheduling for surgery. In our experience, we have seen a variance in the EOB amount received from the insurance companies and what the insurance companies have ultimately paid as well. Please remember you are fully responsible for all fees charged by this office regardless of your insurance coverage and what they decide to pay. We will send you a monthly statement. Most insurance companies will respond within four to six weeks. Please call our office if your statement does not reflect your insurance payment within that time frame. Any remaining balance after your insurance has paid is your responsibility. We appreciate your prompt remittance. If you have any other questions that have not been answered, you can see our complete financial policy below or you can download a copy of our Financial Policy Form for your own records. As always, our team at Eastbay OMS is here to assist you. Please contact us anytime or call our office at 925-833-8516. 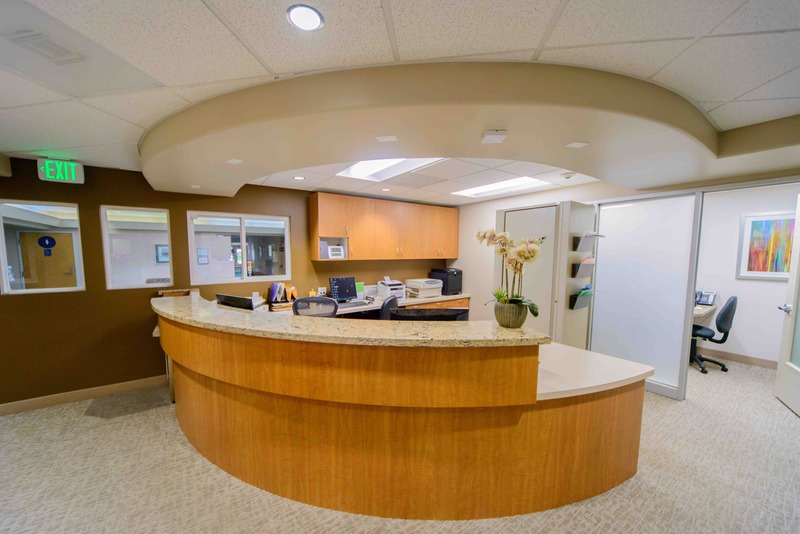 Thank you for selecting Alan P. Chun DDS, MD, Inc. as your dental health care provider. The following information describes our Financial Policy. Our primary goal is that you receive optimal treatments needed to restore and maintain your dental health. Therefore, if you have any questions or concerns about our financial policies, please do not hesitate to contact us, or ask one of our front office managers. Payment for services is due at the time services are rendered. We accept cash, personal checks, and for your convenience MasterCard and Visa. We will help you process your insurance claim for your reimbursement as long as we have complete insurance information provided at your consultation appointment. There will be a Cancellation fee charged of $200.00 for surgical appointments if 48 hours notice during business days (Monday-Friday Not Weekends) is not given or you cancel and reschedule 2 or more times. Your insurance policy is a contract between you, your employer, and the insurance company. We are NOT a party to that contract. Our financial relationship is with you, not your insurance company. It is best you understand your Insurance Maximum per your policy’s calendar year. All charges are your responsibility whether your insurance company pays or not. Not all services are covered benefits in all contracts. Some insurance companies arbitrarily select certain services they will not cover. A predetermination, which is a submission of your treatment plan to your insurance carrier, can be sent for approval before treatment begins. If you would like our office to send a Predetermination of Benefits, please fill out the PDF version of our Financial Policy Form and bring it with you to your first appointment. Please understand that this process can take 4-6 weeks and is not a guarantee of payments. As the patient, you receive an Explanation of Benefits from your insurance company. If the insurance company does not pay in full within 45 days, we will require you to pay the balance due with cash, check, MasterCard, or Visa. Balances older than 60 days will be subjected to Late Payment Charges of 1 /2 % per month (18% A.P.R., minimum of $1.00). Returned Checks will have an additional fee of $25.00 added to the amount of the returned check. We understand that temporary financial problems may affect timely payment of your balance. We encourage you to communicate any such problems to us so that we can assist you in the management of your account. Again, thank you for choosing Dr. Chun as your healthcare provider. We appreciate your confidence in us and the opportunity to serve you.